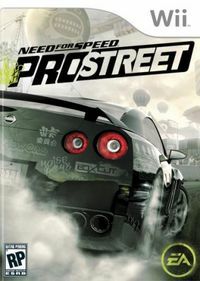 '''Need for Speed ProStreet''' is your ultimate taste of the chaos and unbridled adrenaline of street racing. Pushing yourself and your car to the edge can lead to mistakes and this time those mistakes have consequences. Think swirling fields of debris, shredded fiberglass and heinously twisted metal. Every dent, every scratch and every crumpled body panel is a battle scar, proof of your commitment and competitive mettle. 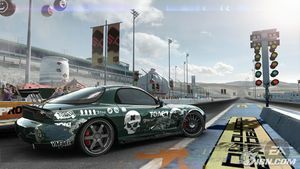 * '''Real, Adrenaline-Fueled Racing''': Experience the raw power of steet racing with a brand new physics engine and feel the fire of competition with an intuitively refined AI engine that smartly delivers on real driving behaviours. *'''Dominate Across All Racing Disciplines''': Becoming the Street King isn't about winning one single event. You need to prove yourself in four distinct styles of racing. Unleash the power of the beast in a reinvented Drag mode. Master the art of control with Tandem drift, and experience the intensity and rivalry of elite competition with Grip Racing. Completely new to the game is Speed Challenge, an ultimate test of speed and control. This page has been accessed 576,403 times.